The Working Hidro -A Proof of principle version. with out the need for any external energy input. 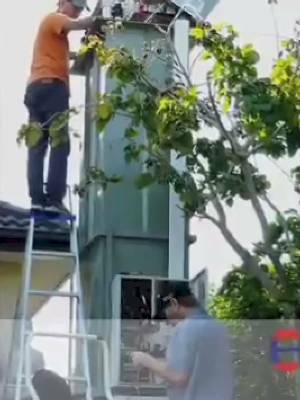 Engineer James Kwok is the pioneer behind the Australian company Hirdo, the only Australian company to have a PROVEN, patented commercially available self sustaining free energy principle -Ready to be deployed world wide. James Kwok is the inventor of numerous patents covering renewable energy technologies. These include:- Vortexodial turbine for wind energy; vortexodial turbine for wave energy plus a Solar-Prism for solar PV. In the Hidro case James has been able to think out side of the square of most inventors and formulate a working FREE energy principle that is emission free, high capacity and a self sustaining continuous generator. This means no energy input is needed after the first phase. The user does not need to input any fossil fuel, solar, batteries, wind or wave power to make it worK. Presently a few elements are preventing Hidro from creating cleaner and CHEAPER electrcitiy, one of them is the government!. These project developments, along with the proposed co-generation project in Queensland, and many other proposed development sites in Australia, are pending the Australian Federal Government's concurrence for the technology's renewable energy certification. Approval is sought for HidroPlus Hydrodynamic Power Technology to be certified under the category of "Other Clean Energy Technologies", in the Renewable Energy (Electricity) Act 2000. This category was an integral part of the legislation as originally introduced with the Act in the year 2000 (Section 5, Division 3, Clause 17), but it has since been removed during changes to the legislation in recent years. The reinstatement of this category would benefit the renewable energy industry, by again covering all electricity generation from non-fossil fuel sources, that is renewable and sustainable, and meets criteria including but not limited to compliance with low-emission and zero-environmental impact legislation. 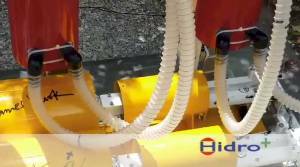 Status of Current Projects - Hidro+â„¢ Hydrodynamic Power Technology. Has Hidro won the noble prize? NO, is the Hidro technology being used by governments to stop poverty, save the tax payer money and reduce their carbon foot print? NO. Is the Hidro principle taught at the faculty level? NO. Is there any government incentive to purchase and change over from fossil fuels to Hidro? NO. 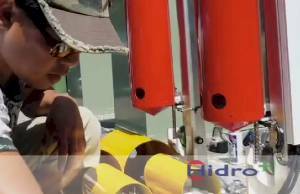 Hidro is a new discovery which can advance education.The technology parallels that of a submarine, which uses buoyancy, gravity, gas density and hydrostatic pressure gradients to ascend and descend.Hidro does the same but drives a generator through this motion. All these factors produce CONSTANT motion and make it possible to harness energy freely from the environment. The Hidro video was first posted back in 2008. 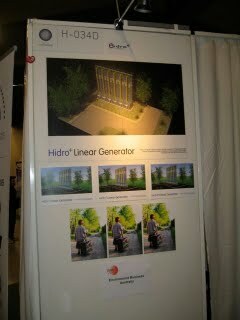 Hidro has since had a booth at the 2009 United Nations Climate Change Conference in Copenhagen. Exhibit UNCCC Cop 15 . They have also had their working principle mentioned by the IEEE Blog. A Third party is now actively helping to demonstrate and improve the original Hidro technology.You can read additional technical details on the Hidro on James Kwok's website. The Calculated comparison of Electrical Outputs produced by the Hidro have been tested and are well documented. In 2008 Professor Ion Boldea of Politehnica University, Timisoara Romania, joined James Kwok as a co-developer in the Hidro+ Multi-module Tower Linear Electric Generator (MTLEG) technology. The Hidro+ MTLEG is a joint patent between James Kwok and Professor Ion Boldea, and is currently world patent pending. Prof Boldea has been a Fellow of the IEEE since 1996 and has published extensively, in English, on the subject of rotary and linear electric machines and drives in the last 25 years. He is author and co-author of 13 books published in the U.S.A. and U.K. and holds 20 Romanian patents and one American patent which is now a commercial product. This validating third party is featured in the Power to the people Hidro Video.They all agree- Hidro is the most carbon negative solution to energy production. This system is far more renewable than natural gas, oil drilling, solar , wind and tidal power. A detailed list of these advantages can be found in Hidro's comparison video which shows that Hidro is zero-fuel, zero-emissions, the smallest ecological footprint and the lowest cost of energy production compared to whats in use today. The Hidro+ land based generator commercial plant is ready to be deployed in three standard size modules. 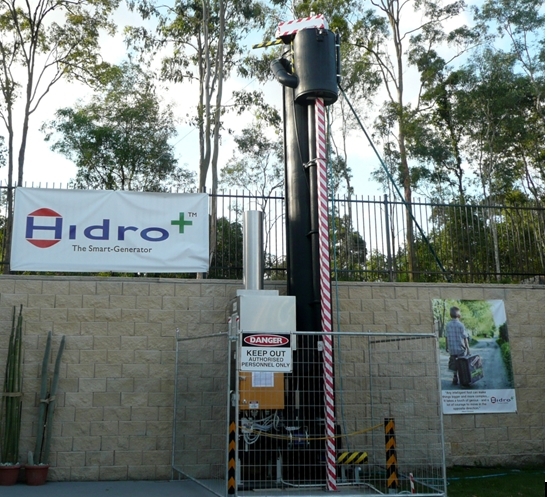 The 50KW version makes Hidro the cheapest available FREE energy device in the world. All the proof and capacity is present but remains neglected. It is 2011 and since 2008 there has been no mainstream media coverage, no interest by faculties or governments to deploy Hidro world wide. Hidro is economical in scale. At present the commercial cost for a 1MW Hidro Tower is approximately US$3.75 million. With maintenance & capital replacement this will cost approximately 1 cent/KW Hr to operate. This is a cleaner and cheaper method to produce energy compared to the current steam turbines which produce power from burning coal. Hidro is also safer and cheaper electricity compared to the dangerous natural gas fracturing process. Hidro is SAFER, cheaper and more carbon negative then coal and gas fracturing (coal seam gas).Hydraulic Fracturing in Coal Seam Gas Mining:The Risks to Our Health, Communities,Environment and Climate. Is probably one of the greatest threats to the future of our children. Environmentalist must not fail to understand only one logic point solar doesn't work of a night or wind when the wind is not blowing and therefore using usually gas generators or "gensets" are essential to provide power whenever sun or wind not available. Is this a environmental solution? As for nuclear power ask the people of Japan if they think it is worth the risk? But who is policing this? Who is policing the multitrillion dollar oil industry? Who is policing government or any faculties ignorance of devices such as Hidro?. Panacea's proposed non profit research and development center is not only important to police any faculty neglect or worse. It is also imperative to assist inventors with the validation process and help upgrade the faculties curricular regarding NEW ENERGY discoveries. Real time progress requires conditions which prevent any interference. Many new energy discoveries like Hidro continue to suffer neglect and interference. These conditions cannot continue with specific infrastructure in place to police this issue. Even if the new energy discovery does not make it to the domestic market because of a failed business model. A new faculty specific for the NEW ENERGY engineering genre is still required to study, teach and preserve the new scientific discovery. What security is in place to preserve and study this knowledge if their company folds? Does the education system get upgraded with their new discovery? The FREE energy principle has profound implications for humankind - To create energy independence and sustainability. Not to mention important in understanding the universe, ourselves and advancing education. Does the commercial release ensure that the circular advances its education with the FREE energy device? The Panacea proposed granted non profit research and development center can ensure the free energy principle is held in a public trust - Should the inventor decide to participate, this can additionally achieve remuneration for the inventor from the security of the device. This is optional and can still protect their intellectual property. In mean time, the public are needed to lobby their elected officials to help integrate Hidro into power production. Generally Hidro are initiating the process of screening potential licensing partners and ascertaining the particulars of a relationship, however, purchasing can be considered on individual merit, subjected to a large capacity requirements.With your help Hidro is here to provide the much needed transition for renewable energies to become sustainable and economical, through harnessing the free, unchanging, constant we have in this world. Panacea has visited Hidro and witnessed their device operating. Panacea feels the most objective campaign to help implement sustainable free energy technology is to begin with an educational drive for public awareness and help police any further neglect. Note- Hidro+ does not partake in the process of fund raising and its proceeds and/or allocations. Panacea is an independent, evidence based and non aligned non profit institute. Panacea is not affiliated or connected with Hidro in any way.Panacea is currently seeking help and sponsorship to purchase sustainable technologies specifically to operate and educate the public.This is estimated to cost merely 200 thousand dollars , a small price to pay to educate sustainable carbon negative free energy and cheaper electricity. Panacea Trustee Ashtweth pictured next to the working Hidro. With the Panacea presentation producing power we can wake up the public and create the critically needed public pressure to police politicians, energy companies and faculties. The PUBLIC message will be simple, there is now no excuse, Hidro remains the most carbon neutral solution and is cheaper electricity. We are all needed to consolidate and mobilize, we can all do a little bit each to help enforce sustainable free energy solutions. If you can assist us in sponsorship ideas or donations please contact Panacea. Hidro would go well powering a green festival like Greenfest. Greenfest can aid Hidro with a world wide educational launch of this technology. Hidro could power a section of the festival or be simply displayed to build consumer awareness and demand. Politicians visit GreenFest and other festivals of that nature. It is important that the public become aware that politicians can be made to go on record about knowing that this technology exists, produces cheaper electricity,is an instant climate change solution and remains neglected. This technology has been designed to co-exist with current energy infrastructure to avoid transmission losses, add capacity to the energy grid and to achieve carbon neutral generation. Hidro commercial plants can be constructed anywhere in the world, ideally in 1 Mega-Watt modules. These modules can provide continuous electricity for 1300 homes adjoining existing substations capable of saving up to 47% of retail electricity bills and in non-grid regions as a distributed power system. Hidro generators are not affected by fluctuations in the weather and each 1 Mega-watt plant will reduce CO2 emissions equivalent to taking 7,968 cars off the road per year (versus current power infrastructure). 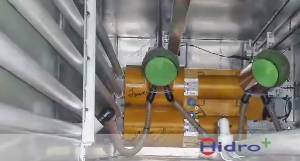 A self contained home power system is not currently possible by Hidro due to the needed size required to sustain the cycles.A 10-15KW version of this technology would end the need for energy cartels. In 2011 United States Environmental Protection Authority (USEPA) the maintained that "available data demonstrates that switching from another fossil fuel to natural gas reduces emissions of carbon pollution and other harmful pollutants that threaten American health". Natural gas enjoys political support from the Obama administration and many lawmakers. Hidro is more carbon neutral than natural gas but has no current political support. To add to the neglect, Hidro appeared at the united nations climate change conferance and is acknowledged as a clean renewable energy solution, this was as far back as 2009, yet today government are spending 130 Million plus on solar projects which do not compare in cost or are as carbon neutral. 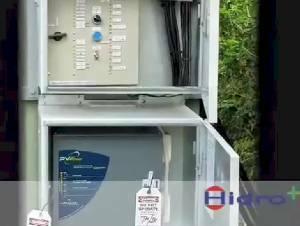 The world's first Hidro electricity generator has been completed, proving Hidro is a scalable technology, which can reach the markets quickly and provide a clear & economic implementation strategy in both the developed and developing countries. This information needs your help to spread effectively through blogs, friends, community groups and the media.Please help forward this Page/Video to your government members and to as many as possible. Despite Hidro having a working available device, their scientific find has no faculty recognition or security. Their contributions can be secure and progress in real time in a grant backed research and development centre environment specific for this task. If you're a member of the public or scientific group which can help Panacea with our educational sustinable technology drive or the proposed granted non profit centre contact Panacea.